It’s been a crazy few weeks. An impromptu gig with Jacob Collier, Louis Cole and myself sold out London’s Pizza Express venue in a matter of days. In case you weren’t aware, Jacob is the Finchley multi-instrumentalist prodigy not yet out of music school, with an astounding harmonic and conceptual arsenal and Louis is the truly unique drummer that makes up 50% of LA outfit Knower. This clip from the gig has understandably seen a lot of attention worldwide. 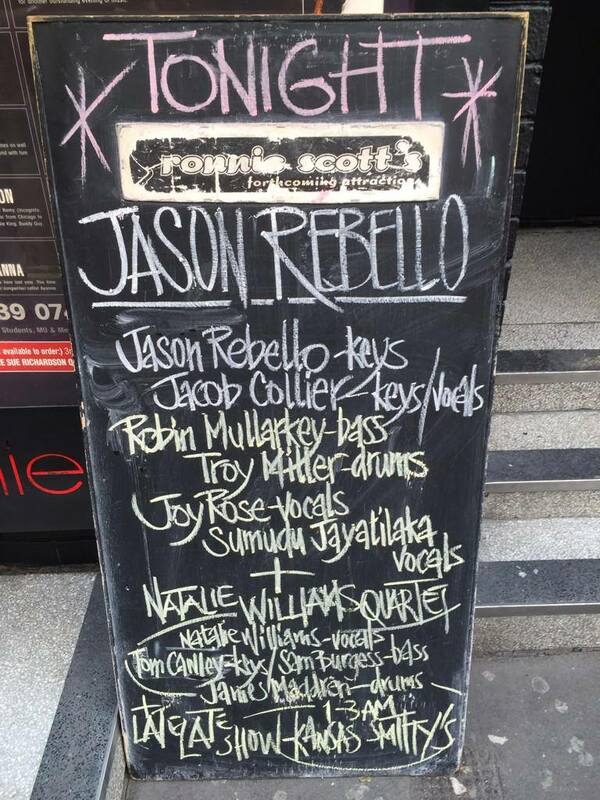 Following that was a run of gigs with the legendary pianist Jason Rebello, well known for his work with Sting, besides being the UK’s most respected pianist. Ronnie Scotts is planning to release a video of this event so i’ll let you know when that becomes available! I had some great gigs with both Brendan Reilly and Hamish Stuart too, but sadly no evidence that i can find. Meanwhile Natalie Williams and i have been working hard on her upcoming EP. Samplers to follow… but i can tell you that it is already sounding fantastic. Gigs coming up with Bill Laurance of Snarky Puppy fame, Richard Spaven, and also a few with Stuart McCallum plus some special appearances from Soul Family Sunday.